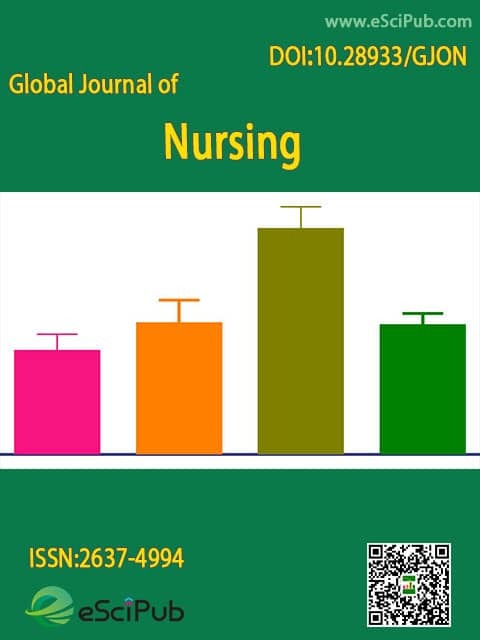 Global Journal of Nursing (ISSN:2637-4994; DOI:10.28933/GJON) is a peer reviewed open access journal publishing articles in Nursing. Special Lecturer, Chulalongkorn University, Bangkok Thailand/ University Professor, Visiting University Professor, Hainan Medical University, Hainan China/Honorary professor, Dr DY Patil University, India/ Visiting Professor, Faculty of Medicine, University of Nis, Serbia/ Adjunct Professor, Joesph Ayo Babalola University. Global Journal of Nursing is a peer reviewed open access journal publishing research manuscripts, review articles, editorials, letters to the editor in Nursing (Indexing details). Please submit your manuscript by the form below or send it to submit_manuscript@escipub.com (use "Global Journal of Nursing" as the email subject line).